After victory over Huddersfield, The Reds are back in action as Mike Nevin previews our Champions League fixture. Red Star Belgrade occupy a small but hugely significant part of Liverpool’s European history. When the then Yugoslavian champions came to Anfield in November 1973 they were already established as a vaunted name on the continent with a fine European tradition dating back to the 1950s. Bill Shankly had struck up a friendship with Red Star’s fabled coach, Miljan Miljanic and was keen to put one over a similarly outspoken character who shared his love of verbal sparring. The Reds lost 2-1 in the first leg but were expected to overturn the deficit despite being fortunate to escape a heavier defeat in Belgrade. The second leg was an education to everyone inside Anfield, not least a quiet, reflective Bob Paisley sat alongside Shankly on the Liverpool bench. The Reds enjoyed most of the possession but were undone by Red Star’s careful, sophisticated retention of the ball in defence and midfield interspersed with sudden injections of pace. Liverpool bombarded the Eastern European’s goal with long balls aimed at the lanky striker John Toshack but were undressed by a side of clearly superior technique, succumbing to another 2-1 reverse which was the Reds’ first ever home defeat in Europe. The exit from the European Cup – Shankly’s obsession – instigated a top-level inquest into Liverpool’s style and tactics. The coaching staff decided that a pattern of play with more finesse, ball-playing centre halves and possession football would be required if the Reds were ever to be crowned Champions of Europe in the future. Red Star had laid out a blueprint for Paisley to follow once Shankly, depressed by his team’s limitations against a team with the ability to rapidly change tempo, had retired. Liverpool’s evolution under Paisley was swift and the rest is history. Before the formation of the Champions League, Red Star remained consistently competitive in Europe and enjoyed their own crowning moment in 1991 when they beat Marseilles on penalties (after a drab 0-0 draw) in the last European Cup to be played on a purely knock-out basis. Sadly, following the political unrest that saw the break-up of Yugoslavia, clubs from the Balkan region were banned from UEFA competitions from 1992 to 1995 and Red Star have since been unable to recapture their former glories. The European football landscape is now much changed; the established power base of the Champions League a cartel unlikely to be breached by a club with the financial restrictions of Red Star who are featuring for the first time in the Champions League proper since they lifted the trophy. At home in Serbia though they rule the roost; unbeaten in 38 matches domestically, and seven points clear in the league after 12 games with 34 points from a possible 36. Their only defeat this season came in the 6-1 thrashing at the hands of Paris Saint Germain after a creditable goalless draw in their opening Group C encounter with Napoli in Belgrade. 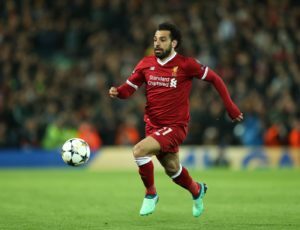 Liverpool, while recognising the need to avoid complacency, will view the Red Star double-header as a chance to take a maximum six-point haul and cement their chances of qualification before the return trip to Paris in November. Lorenzo Insigne’s late winner for Napoli in the Reds’ last group match has jeopardised Liverpool’s safe passage from the group and made it a probable three-way fight – with little room for manoeuvre – to make the last sixteen. With visiting Red Star supporters banned from Anfield on Wednesday night – owing to UEFA sanctions after pitch invasions and fireworks thrown onto the pitch during their qualifier against Red Bull Salzburg – the match will played out in an atmosphere akin to days of old when away fans on a European night were a rarity. Jurgen Klopp will hope that the extra number of home fans filling the Anfield Road End void will create a noise to spur Liverpool into the kind of form was a feature of last season’s European run. Klopp’s selection is still confused by niggling issues with form, fitness and confidence. Roberto Firmino should return after being rested against Huddersfield, and while Mohammed Salah is due a break, the manager will be loathe to deny him the chance to add to Saturday’s restorative winning goal. Daniel Sturridge was lethargic at the weekend so if Sadio Mane again misses out with his thumb injury, Xherdan Shaqiri might get another opportunity to shine in the front three. In midfield Fabinho should get another chance to show his worth with Jordan Henderson nursing a tight hamstring. Red Star Belgrade, despite their exotic name and former pedigree, are not the force that withered Shankly’s 1973 champions and everything points to a necessary, confidence-boosting Liverpool victory.